This is Gilbert Hernandez’s Palomar Book 5: Ofelia, part of the Love & Rockets library. In Ofelia, the sisters, the kids, and the cousins are all settled comfortably in California after leaving Palomar in Luba and Her Family. Luba and her cousin Ofelia’s relationship has always been fraught, but when Ofelia threatens to write a book about Luba, past memories, secrets, resentments, and pain resurface. Meanwhile, Luba’s children – genius Socorro, recently out-and-proud Doralís, and prickly Maricela – show that a talent for trouble may be hereditary. Luba’s sisters, Fritz and Petra, swap lovers (as usual), but… are Fritz and family friend Pipo sittin’ in a tree? These vividly drawn characters are charged with Hernandez’s trademark complexity; they live, love, age, fight – and die – in this sweeping, multigenerational saga. 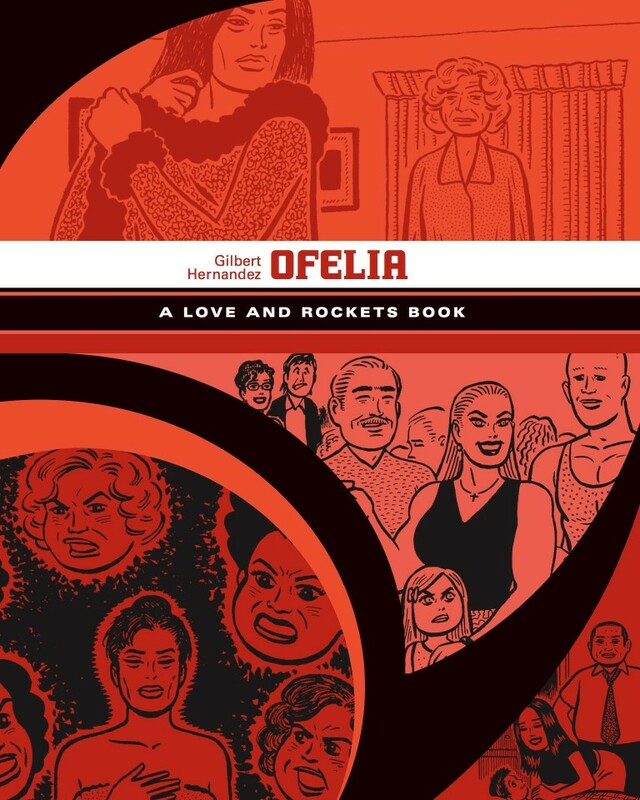 Read all of Gilbert Hernandez’s acclaimed Palomar stories from Love and Rockets on SEQUENTIAL in the right order. First read Palomar #1 to #5, then Maria M. and The Children of Palomar. After that, try out Gilbert’s Julio’s Day and get the collection of short stories by Gilbert and Jaime: Amor Y Cohetes.